“We double-dog dare you to miss this holiday fun!” In 1940’s Indiana, Ralphie Parker has a big imagination and one wish for Christmas – a Red Ryder BB Gun. A kooky leg lamp, outrageous pink bunny pajamas, a cranky department store Santa, and a triple-dog-dare to lick a freezing flagpole are just a few of the obstacles that stand between Ralphie and his Christmas dream. 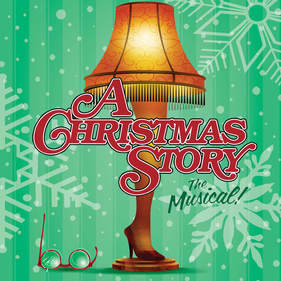 A Christmas Story — The Musical captures the joy of the holiday season with funny and heartfelt songs, show stopping dancing, delicious wit, and a heart of gold.